Planning a new system build for 2019? Then this is the competition for you. 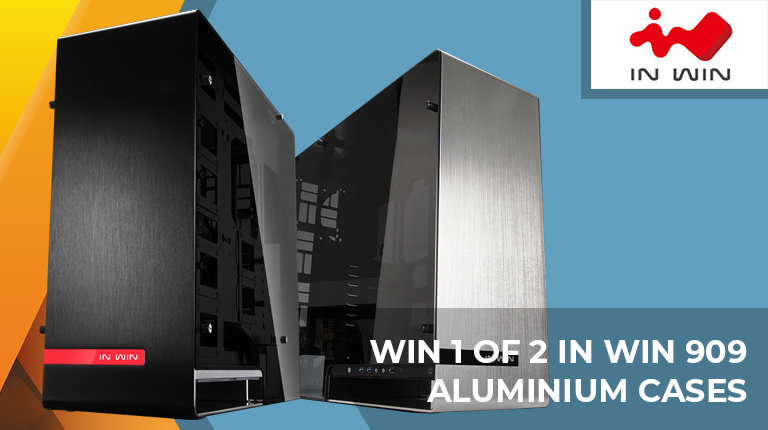 In partnership with InWin, we're giving you the chance to win one of two gorgeous 909 chassis. A beautiful blend of aluminium and tempered glass makes this a full-tower enclosure that oozes style, and we have two cases up for grabs! The competition winner will be picked at random from all eligible entries that arrive by 09:00 London time on the closing date, December 23, 2018. First prize is an InWin 909 chassis in silver. Second prize is an InWin 909 chassis in black. After entering, I read the specs and saw that it weighs 17KG. Thanks but no thanks.